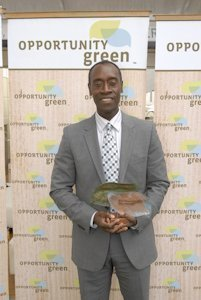 The Fifth Annual Business Conference Opportunity Green awarded the 2nd Annual Eco Maverick Awards to Adrian Grenier, Peter Glatzer and actor, Don Cheadle. They were honored because of their exemplary service and commitment to environmental sustainability as well as human rights. 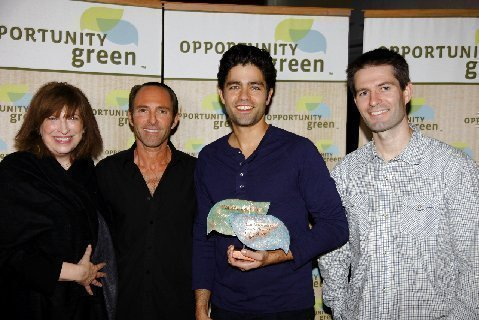 Over 900 professionals from Fortune 500 powerhouses to inventive startups from around the globe gathered this past week at Los Angeles Center Studio's for the Fifth Annual Opportunity Green Business Conference. The conference presents global business visionaries showcasing the most sought-after opportunities, profound innovations, technologies and trends accelerating the new green economy. 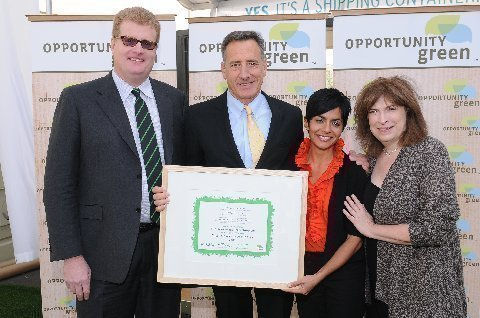 The "2011 Green Governor of the Year" was awarded to Governor Peter Shumlin of Vermont. Vermont is one of 13 states which have voluntarily adopted California’s vehicle emissions standards. Governor Shumlin signed a renewable energy bill into law in 2011 to expand renewable energy and efficiency projects in the state of Vermont. Governor Shumlin also created a ‘Climate Cabinet’ which will function as an advisory body on all matters bearing on climate issues. The OG after-party was hosted by SouthWest airlines offering a Taste of LA with LA's best sustainable fare from local restaurants such as Border Grill, Veggie Grill, La Poubelle and organic cocktails by locally made GreenBar Collective. Opportunity Green Business Conference offsets 100% of carbon emissions and diverts 85% waste from landfill making in one of the lowest conference footprints.